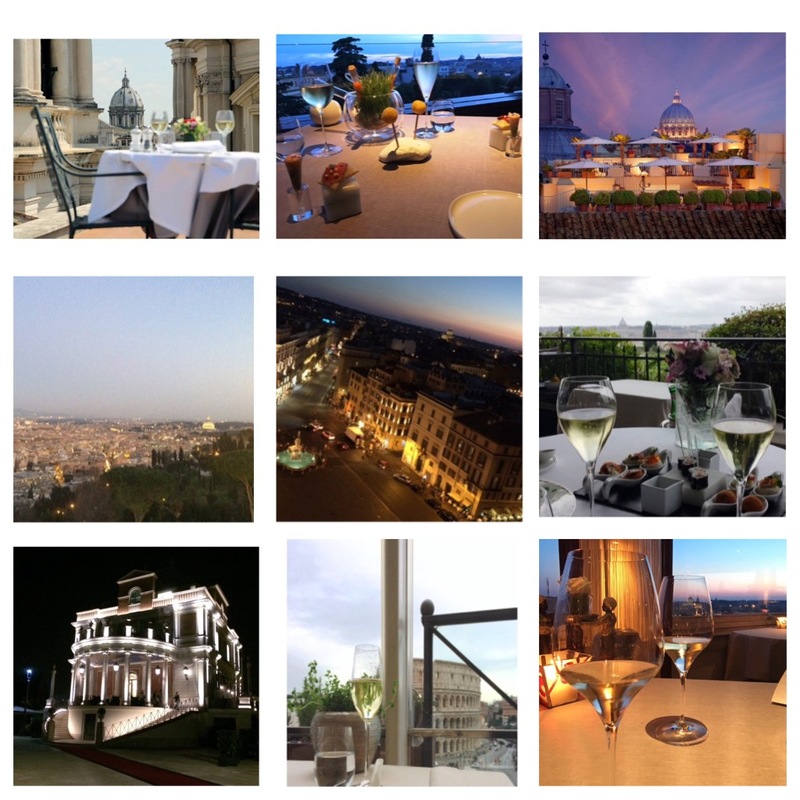 Rome Restaurants, a journey through beauty among top gourmet. There is no city in the world that equals Rome. History, art, cuisine, nature – between the countryside and the sea -, climate, everything contributes to making it unique. It’s from this assumption that I started when I thought the cycle “Journey in the Beauty” among the luxury restaurants of the italian Capital. Places that I chose not only for the high food and wine offer (Michelin Stars are marked by the “Macaron”) but also for the context: because in valuable structures or inserted in symbolic places (indicated with the “capital”), for the proximity of monuments (marked by the “Colosseum”), for the view on the city (the “binoculars”) and for the nature that surrounds them (green symbol); in some cases these are concomitant characteristics. Recently I was able to note with satisfaction that my small project captures a real need: describe and make known to the public the high-level Ho.re.ca. (Hotellerie-Restaurant-Café) of Rome inserted into the cultural and artistic context. And I found that some of the restaurants that house restaurants are real art galleries or architectural works of art: Eitch Borromini, Lord Byron, Hotel Raphael, Rome Cavalieri, The First Hotel, Villa Laetitia, La Posta Vecchia, Casina Valadier, Hotel Hassler, Hotel Splendide Royal. Another discovery was that some of these restaurants, considered the level, are very accessible, such as Terrace Borromini by Eitch Borromini, Hi-Res at Hotel Valadier and Sapori at Lord Byron (indicated with only two Euro symbols) ; others, however, have the proposed lunch at a lower price than the dinner (symbol with the clock). This site is Smoking Friendly and Bar Lover, so I wanted to indicate restaurants with a cigar lounge or cigar room (with the symbol of green cigar) and those with open spaces where you can smoke (yellow cigar); as well as places where you can find a high-level cocktail bar (symbol of the Martini cup). There are 20 places that I have had the privilege of being able to visit and reporting in the course of a year and from this path a mini-guide was born. All combine the Good to the Beautiful. The order is strictly alphabetical. Have a good trip.